If you or a loved one has been arrested, our Marietta Bail Bonds can help get you out 24/7. Our office with Anytime Bail Bonding, Inc. is conveniently located at 2357 Austell Road, GA, 30007. Call us now at (770) 333-8589 for prompt assistance. When to Contact a Bail Bondsman in Marietta? 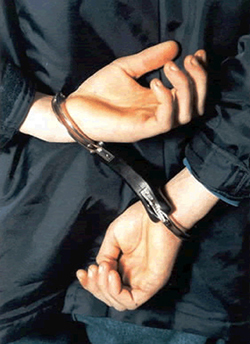 Call our Marietta bail bonds company as soon as possible after an arrest and we will start on your case immediately. Often, release can be obtained in a matter of hours. Calling right away gets you or your loved one to the front of the line and out the door in a timely manner. We provide friendly and professional services 24/7. We will need the following information on the defendant to secure their release from jail: date of birth, arresting charge, jail being held (county, city, state), arresting agency, booking number and bail amount. After an arrest, a Judge may grant a bail bond based on the arresting charge and the defendant’s criminal history, to include prior court appearances. Once bail is granted, the bail bond process in Marietta begins. An Anytime Bail Bonding, Inc. bondsmen can walk you through the entire process and answer all of your questions. Once a bail contract has been signed, the defendant is freed from jail in a few hours. The amount of bail will depend on the arresting charge and the defendant’s criminal history. Using the services of a bail bondsman makes posting bail more affordable than having to pay the full amount of the bond to the court. Our team of Marietta bail bondsmen will take a small non-refundable fee (12 to 15 percent) to assume supervision of the defendant and make sure they attend all required court hearings until disposition of their case. Additional fees may be required. In some cases, collateral may be taken to further secure the bail bond such as real estate. Our Marietta bail bondsman may also be able to offer you a payment plan if needed. A third-party indemintor, often a friend or relative, will also guarantee the bond. Provided the defendant complies with the court’s terms, there are no additional charges. Anytime Bail Bonding, Inc. prides itself on helping you or a loved one out of jail to help in the defense of your case. We are the number one company for bail bonds in Marietta for the key services we provide and knowledge of the industry. No bail is too small or large; we offer traditional as well as immigration bonds. Call us today for assistance at (770) 333-8589 because when your freedom is on the line, you can count on us any time. Serving Serving Cobb County and all cities.